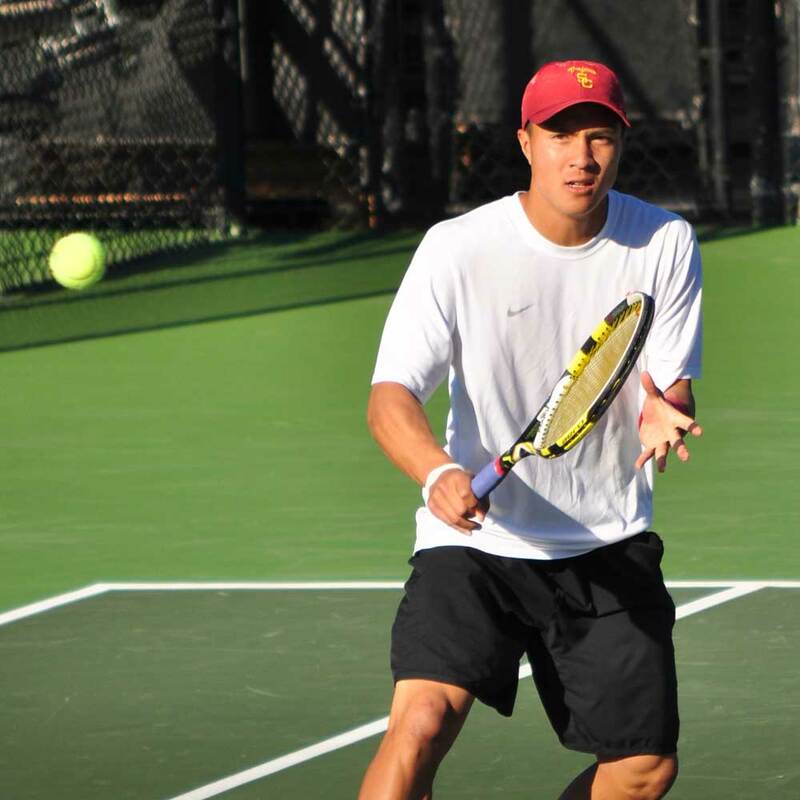 A two-game road trip against top tennis programs in Northern California could not deter USC men’s tennis from its streaking start to the spring season. With a 7-0 sweep over No. 6 Stanford (4-2) last Friday and a 5-2 victory over No. 13 California (3-2) a day later, No. 1 USC (6-0) extended its win streak to 25 matches, which spans from last season’s championship run. For the third time this season, USC freshman Roberto Quiroz guaranteed the Trojans’ victory with a 6-2, 7-5 win over Cal’s Ahmed Ismail on court six. 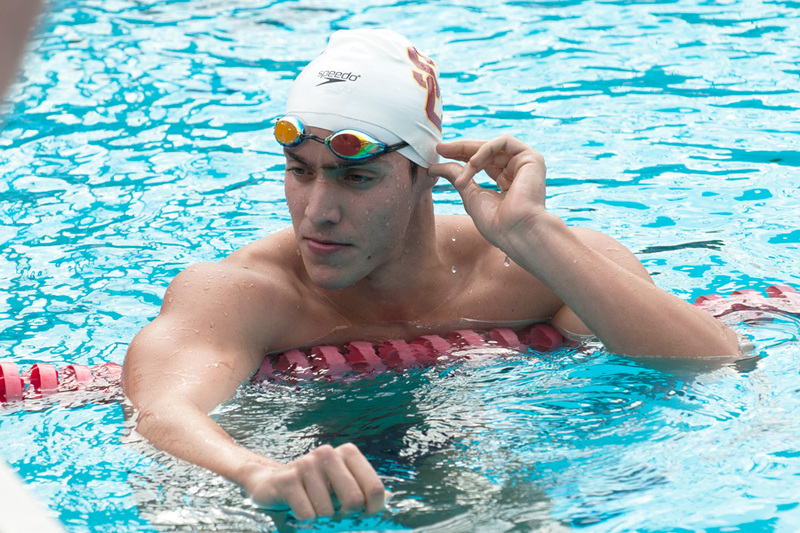 Before Quiroz notched USC’s fourth point, senior Steve Johnson and No. 48 sophomore Emilio Gomez dispatched their singles opponents in straight sets. On court three, No. 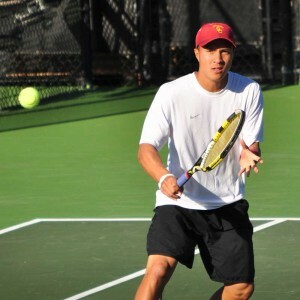 16 senior Daniel Nguyen tallied USC’s final point with a 6-4, 6-3 victory over Christoffer Konigsfeldt. 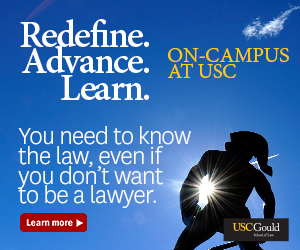 USC sophomore Ray Sarmiento and freshman Yannick Hanfmann, ranked No. 12 and No. 33, respectively, both took their first singles losses this season for Cal’s two points of the match. The Trojans took a 1-0 lead after doubles action with an 8-3 victory by Johnson and Hanfmann over Konigsfeldt and Nick Andrews, a pair ranked No. 5 in ITA rankings. That came after the team of Quiroz and No. 48 sophomore Emilio Gomez captured USC’s first doubles win in an 8-1 decision over Riki McLachlan and Tommie Murphy. “I think it was really tough to come and play against their crowd, but the team did great and stepped it up,” Gomez said. 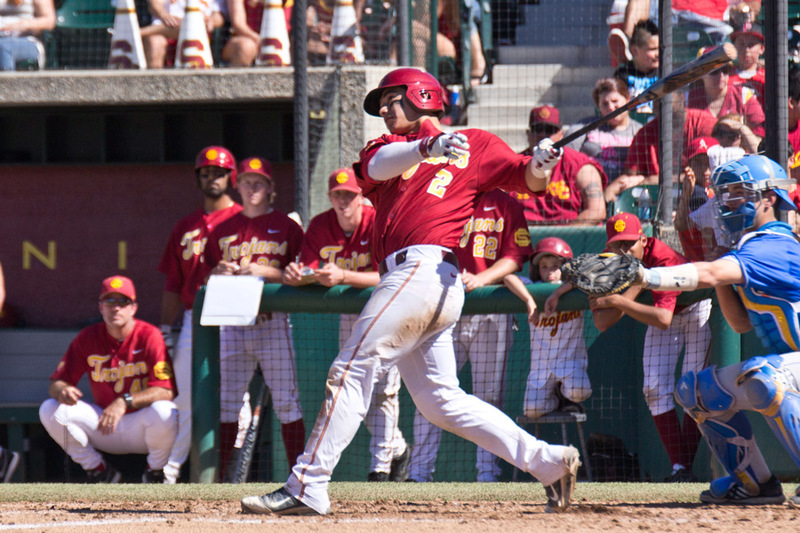 The day before, USC took on the Cardinal at Stanford’s Taube Stadium, where the Trojans had clinched their third consecutive NCAA championship last May. After Sarmiento took down No. 75 Matt Kandath 6-3, 6-1 and Gomez defeated John Morrissey 6-2, 6-2, Hanfmann locked up the Trojans’ win with a 6-3, 6-2 victory against Robert Stineman. Two narrow wins by Johnson and Quiroz along with a straight set victory by Nguyen rounded out USC’s fourth sweep of the season. Gomez and Quiroz began the day with an 8-2 doubles win over Stineman and Walker Kehrer, followed by a victory by Hanfmann and Johnson that notched the Trojans’ first point of the match. A return to the site of their third NCAA championship meant more to the Trojans than just another potential win to add to their longstanding streak. The perfect two-game road trip did not affect USC’s Pac-12 record, but it did give the Trojans a chance to play their stiffest dual match competition so far this season. 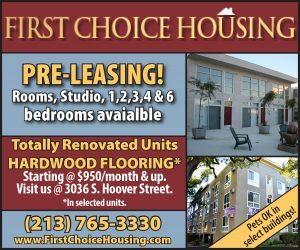 USC will have several days of rest before facing No. 12 Pepperdine (3-1) on Friday at 1 p.m. in Malibu.